I will need to illuminate the “subjects” that I will be capturing. In order to do this, I will eventually need to set some pin high. Weather it be that it sets of a camera flash or turns on some lights for a second, it will need to happen down the line. Now you should see a bunch of text in the command line. I have no idea why, but my first run of this command didn’t “take” but I ran it again and now it works great. 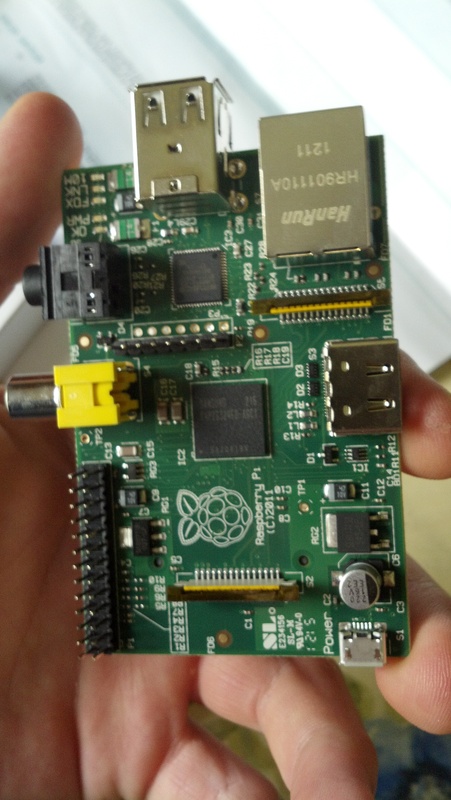 To use this, you need to know what pins correspond to pins on the RPi. You can google this yourself. Now we get writing code. I’m using a graphical python editor called geaney which comes pre-loaded with squeeze. To blink pins 11 and 13, use and run this python script. You can see the plaintext version of that script here. Essentially i’m trying to mimic things I’ve done with an Arduino for some time. Maybe later today (if I can somehow find a 100ohm resistor) I’ll work on using inputs. I have a PIR motion sensor with me, but I neglected to bring the proper resistor to use it. I do have tack switches and resistors for those, which I could use to mimic the motion detector, but I don’t think that would be as cool. So I’ve determined that there will be 2 parts to this project. 1. Be able to take a picture with a USB webcam via command line. fswebcam -c /home/user/Pictures/picture.conf //the location of the .conf file should be wherever you put it, so the code after the space after the -c will be different for you. This will produce an image from your webcam in the location you specified in the picture.conf file. I installed all of this on my server and got the below image. This is what the laptop running this website sees! 2. Write a python (I’ve decided to go with python because I’ve never used python before, it will be good to learn something new. And because there is already a library for controlling the GPIO pins on the RPi baked into the language.) script that can sense weather or not this sensor‘s alarm pin is pulled low. At that point, the script should then execute the above bash command and take a picture. After that, that photo should be moved somewhere to do something, but I don’t know what that will be yet. It will probably be uploaded to a secure location on my server and then I will have it email me if at the end of the night, something shows up. So, you may have noticed an absence of recent posts on this website. This is due to a few factors but the main one is a lack of focus. Not a lack of focus in a multi-tasking sense, but in a sort of literal sense. I’ve got foggy fragments of ideas, but no concrete ideas that are feasible. I think that the introduction of the “Project Execution” prefix in the title of this post (and hopefully all of my other project-based posts) will keep me “responsible” in regard to things I try and undertake. There will be 5 steps for each project. In the mail recently, I’ve got a whole new area of new more powerful computer science to enter into, and I think the PiScanner is the best way to do this. 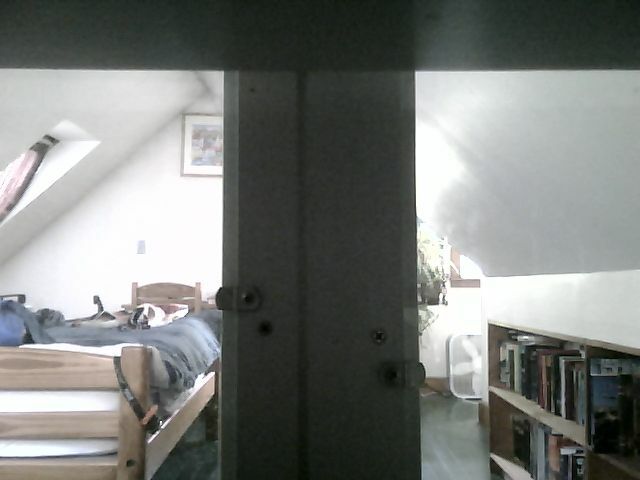 The PiScanner will be a program that will identify motion using a PIR detector in junction with the GPIO pins, capture an image using a webcam or other camera compatible with the ports on the board, and then upload that image to a server to be viewed via rss. This will be great for my backyard at night, it’s like animal planet out there this time of year and it will teach me a bunch of new things upon completion.